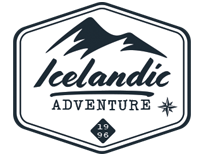 Icelandic Adventure is a family run Tour Operator and DMC specialist built on wilderness experience and enthusiasm to share it with you. We love to travel and to experience new things in beautiful nature and enjoy it with our guests. We have been involved with, and have extensive experience touring in all kinds of conditions on Super Jeeps, Snowmobiles and ATVs, as well as with hiking, mountain biking, horse back riding and various other tours since 1996. We choose our guides and staff carefully, making sure that they are highly experienced and professional but also personal and fun to be with. Our Founder and main guide, Baldvin “Baddi” Jónsson has extensive experience with travelling in the Icelandic wilderness and has spent most of his free time through out his life exploring our beautiful island. Baddi loves to take people to the middle of “nowhere” and experience with them the dynamic nature of fire and ice in Iceland. We take great pleasure in what we do and our primary goal is to help our visitors experience a real Icelandic adventure local style. We achieve this by delivering a friendly, personal and professional service while we are all having the time of our lives at the same time. Picture above: Baldvin “Baddi” Jónsson with his family and wife María Pétursdóttir and their two children Messíana and Jónatan.